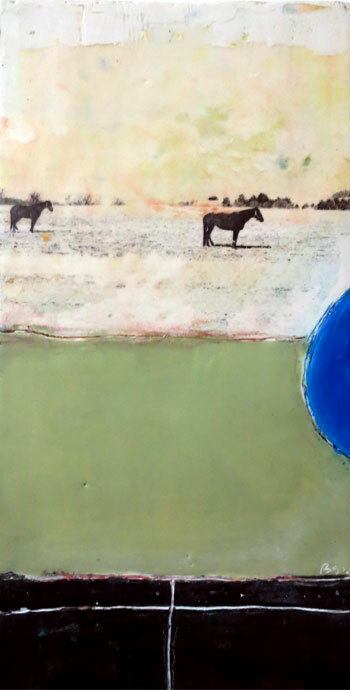 Every now and then I will create a mixed media painting of a horse, sometimes because I feel like it and sometimes I have been commissioned to create a horse painting. It feels very natural to me though, which I didn’t quite understand. I was never a “horse person”. I have ridden horses when I was young, but never seriously as some people I knew did. I really wondered why it felt so very natural. But then I remembered that for most of my childhood I grew up right next to horses. I was fortunate to have grown up on 11 acres and even luckier to have neighbors that had horses. The field that the horses roamed around in was right outside my bedroom window. I could see them at all times of the day when I was inside sitting by my window as well as when I played outside. I saw them in the periphery of my daily life. When I realized that, it was like, ah yes, it all makes sense now. How did I forget that? Memory is so strange. I created this piece for a local show that was in early March and it actually sold before the show opened. 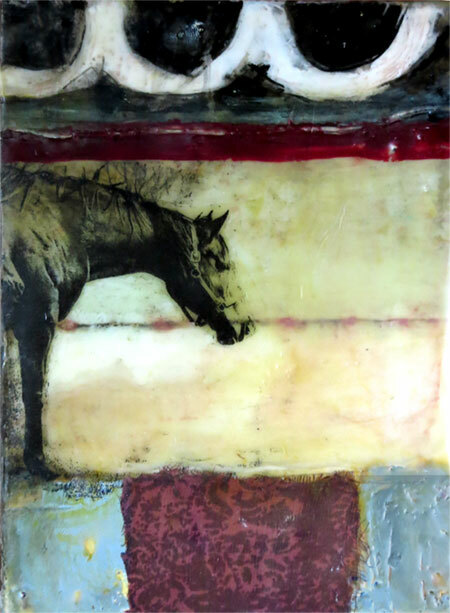 I recently read the book If Women Rose Rooted by Sharon Blackie (who I figured out while I was reading her book that I had emailed with her several years ago, but that’s for another post another day) and there is a section about horse energy and mythology and how horse energy connects to an intuitive female energy that I found fascinating.